the day the masses were ‘informed’. 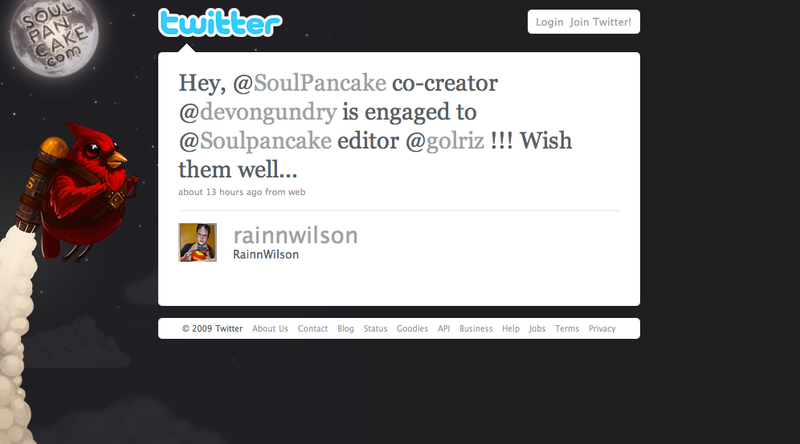 i wondered why my twitter following had got a bump and then i spied the below message that dear rainn had sent out to his 1.8 million followers. masses of strangers then proceeded to wish us happiness and some said other lovely, albeit strange, things. it was pretty awesome. and a bit ‘stranger danger’-ish.